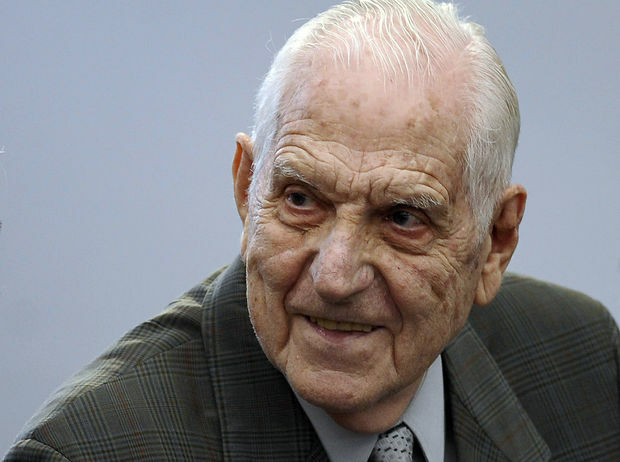 Reynaldo Bignone, 88, was sentenced to 20 years in prison. Former general Reynaldo Bignone, 88, was, on Saturday, sentenced to 20 years in prison for his role in “Operation Condor” under which an international death squad who could operate cross-border in Argentina, Bolivia, Brazil, Chile, Paraguay and Uruguay to kidnap, torture and eliminate political opponents who had fled in exile or taken refuge. The state conspiracy was set up by six South American military dictatorships during the 1970s and 80s. The trial of “Condor”, named after a vulture bird, involved at least 105 cases of “Illegal Arrest” followed by the death of mostly foreign nationals – 45 Uruguayans, 22 Chileans, 13 Paraguayans and 11 Bolivians – killed during exile in Argentina. In 1976, when the country became the last of the six nations to come under a dictatorship, victims were taking refuge in Argentina due to the hostile military government in their home state. The state terror operation involved kidnapping the victims on foreign soil and making them “disappear”, usually by cremating, or by throwing them alive off military planes into the Atlantic Ocean after administering drugs. Bignone, who ruled Argentina in 1982-1983 in the wake of the Falklands war, was found guilty of being part of an illicit association, kidnapping and abusing his powers in the forced disappearance of more than 100 people. The former general is presently serving life sentences for multiple human rights violations during the 1976-1983 dictatorship. Another high-ranking former general, Santiago Riveros, with jurisdiction over Buenos Aires and various clandestine detention centres, was sentenced to 25 years. The sentences against 17 former officers on trial were read out by Judge Adrián Grünberg in the Argentine court in the presence of victims’ relatives. Among other crimes, Riveros was sentenced for the murder of a young Uruguayan couple, María Gatti and Jorge Zaffaroni. The couple, who had fled to Argentina in the previous year, were kidnapped in 1976 along with their infant child, Mariana, and then taken to Automotores Orletti, a detention centre that acted as the headquarters of Operation Condor in Buenos Aires. After the murder, one-year-old Mariana was handed over to Argentine intelligence officer Miguel Angel Furci only to be reunited with her biological family after 16 years in 1992. Furci was also sentenced to 25 years on various counts of torture and illegal arrest at the Orletti centre. “We obtained documentation, both from declassified files of the US state department and from South American records, showing that the US was aware that Condor was killing people and even provided technical assistance,” said Palmás Zaldúa, “There is evidence the CIA provided computers and that Condor members communicated via a US telex service based in Panama.” Although substantial evidence was produced during the three-year trial concerning Washington’s role, involvement of the US in Condor was not examined per se. “I believe we have a responsibility to confront the past with honesty and transparency,” said Barack Obama, during his visit to Argentina in March this year and promised to release all US files, including military and intelligence records.